Johnsongrass, AKA Sorghum halepense, is a problem for property managers all over the world. 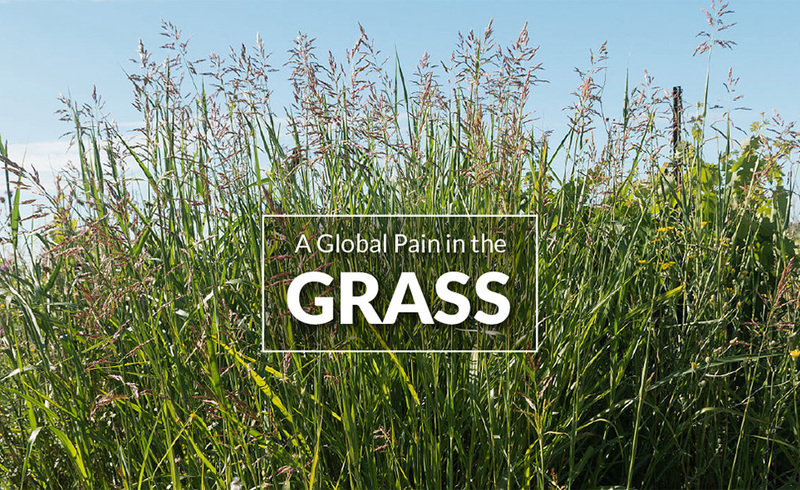 And we mean “all over the world” in the most literal sense, because this invasive perennial grass is present on every continent but Antarctica. It’s resistant to most herbicides, shows strong cold and drought tolerance and can flourish in low-fertility soils. Johnsongrass is a big problem that keeps getting bigger. It’s become such a problem for property managers in the southeastern U.S., in fact, that the University of Georgia is beginning a $5 million study to find new ways to attack the monster before it takes over completely. Most people can’t wait five years to start wrestling with Johnsongrass. In the meantime, the Missouri Department of Conservation has a few key recommendations in place for getting ahead of the aggressive green beast. There are other methods that help, although nothing works completely on its own. Regular tillage aids the effectiveness of herbicides, and crop rotation has also proven effective. For best practices in your area, contact your county extension agent. These measures are easier said than done, but with such an aggressively invasive weed, complete eradication is often the only answer. Ragan & Massey recommends RM43, our solution for total vegetation control. Compare-N-Save Concentrate Grass and Weed Killer 41% Glyphosate is also effective on Johnsongrass. Be sure to follow application instructions, or contact Ragan & Massey directly with questions.